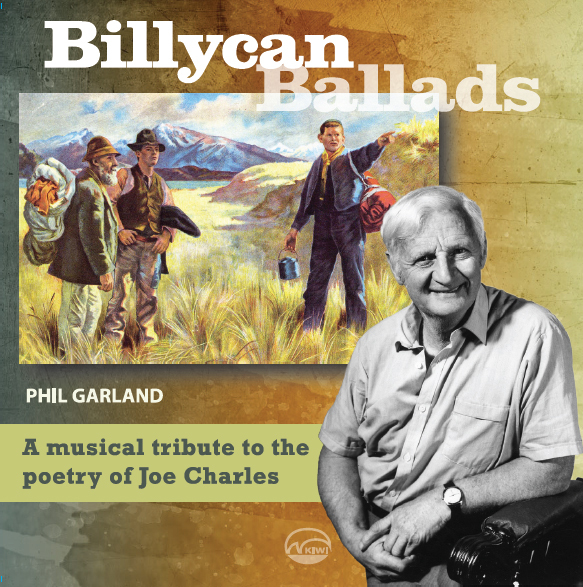 Phil Garland's latest album Billycan Ballads is a musical tribute to the Kiwi balladry of the late Joe Charles, who was born in Timaru in 1916, the son of a Southland farmer. His grandfather had founded the Dunstan Times during the Otago gold rushes of the 1860s, so creative writing was in his blood. Joe worked on the family farm after leaving school and began contributing to the Mataura Ensign, all the while rubbing shoulders with musterers, shepherds, fencers, harvesters, shearers and passing swaggers, who provided him with a fund of stories and yarns for future reference. His association with rural life exposed him to a wealth of oral history, which inspired him to blend tall stories with genuine historical events, creating poetry that would not be out of place in any shearing shed or bar. 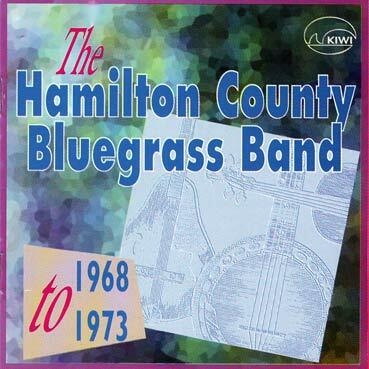 Joe's first book Black Billy Tea, published to critical acclaim in 1981, was a treasure trove of colourful vernacular Kiwi balladry documenting the stories of unsung heroes, and events that helped build this nation from the Northland gumfields to the Otago gold rushes and beyond. 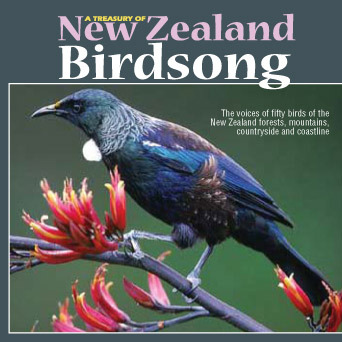 His cultural legacy is further preserved by the publication of a new book Blackberry Pie, thanks to his daughters’ vision and ongoing support from Phil Garland and Kiwi-Pacific Records. 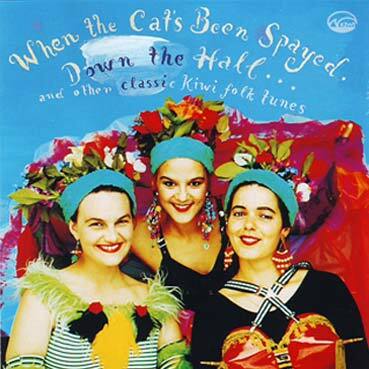 Billycan Ballads is a collection of songs and ballads selected from both of Joe's books and set to music by Phil Garland, who is best known as a multi award winning Kiwi songcatcher, singing historian and balladeer. Phil has spent a lifetime collecting, researching and preserving New Zealand folklore and music and this work has been fully documented by 18 albums recorded with Kiwi-Pacific Records. His research into New Zealand’s musical heritage forms the basis of two recently published books Faces In The Firelight and the Phil Garland Songbook. 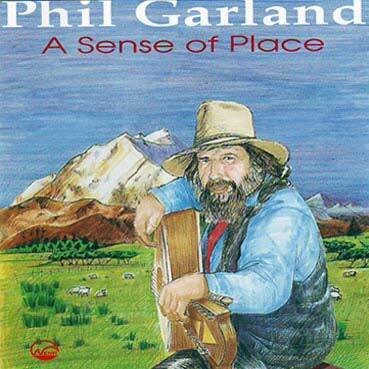 Garland has long been hailed as A National Living Treasure, winning international awards and gaining recognition as New Zealand's foremost and finest heritage balladeer. 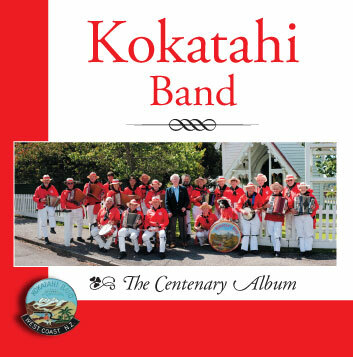 His concerts pay tribute to the Kiwi musical heritage, blending songs, ballads, stories and yarns that introduce audiences to the musical heart of New Zealand and its people.